Gerichtsstand Mainz, Deutschland. Es gilt ausschliesslich deutsches Recht. Gerichtsstand Stuttgart, Deutschland. Es gilt ausschliesslich deutsches Recht. Gerichtsstand Hong Kong, SAR. Es gilt das örtliche Recht. Gerichtsstand New Albany, OH, USA. Es gilt das örtliche Recht. Place of jurisdiction Mainz, Germany. Only local laws and regulations apply. Place of jurisdiction Stuttgart, Germany. Only local laws and regulations apply. Place of jurisdiction Hong Kong, SAR. Only local laws and regulations apply. Place of jurisdiction New Albany, OH. Only local laws and regulations apply. 1. 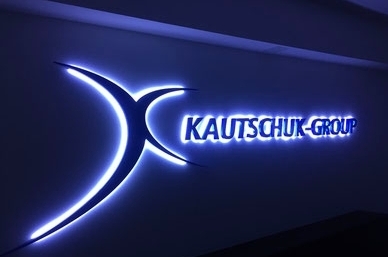 TERMS -- The terms and conditions, and as set forth below, shall constitute the entire agreement ("Agreement") between any of the Kautschuk Gesellschaft Group companies ("Isochem") and Buyer and shall govern all sales of products ("Products"). This Agreement supersedes any other written/oral communications between the parties and information in any Isochem literature, website or catalog, and overrides and excludes any other terms and conditions stipulated, incorporated or referred to by Buyer, and any prior course of dealing between the parties. Isochem's acceptance of any order, including the signing by Isochem of any of Buyer's documentation issued in conjunction with any order, is expressly subject to Buyer's assent to each and all of the terms and conditions set forth herein. No alteration or modification of, or addition to, this Agreement shall have any force, effect or validity whatsoever and no other terms and conditions whatsoever shall be controlling unless in writing and signed by Isochem, and stating that it is intended to be effective as such alteration, modification or addition. 2. PRICES -- Unit prices for the Products apply only to the specific quantity and delivery schedule stated. Isochem reserves the right to change prices without notice. All prices are subject to correction of errors; Isochem reserves the right to adjust prices on orders during production due to changes in cost of materials, transportation or wages. Freight charges will be added to the invoice as a separate item. Any tax, customs, surcharge or duty, howsoever denominated, imposed upon the sale, importation, delivery or use of Products shall be the responsibility of Buyer, and if paid by Isochem, shall be invoiced to Buyer. 3. TERMS OF PAYMENT -- Payment shall be due as specified on the invoice. If Buyer becomes delinquent in payments or if Isochem has reasonable doubt as to Buyer's financial responsibility then, in addition to any other remedy to which it may be entitled, Isochem may: (i) terminate this Agreement and/or any other agreement Isochem has with Buyer, (ii) stop deliveries or make further deliveries on a pre-payment basis only, and/or (iii) declare due and payable immediately all unpaid amounts for Products previously delivered to the Buyer. Interest on all sums due and unpaid after due date shall run at the maximum rate permitted by applicable law until payment is received. 4. SHIPMENTS AND DELIVERY -- Delivery of all orders are according to INCOTERMS 2010. Except as otherwise agreed, method of transportation will be per Isochem's policy. Delivery of the goods to the carrier at Isochem's shipping point shall constitute delivery and Buyer shall bear all risk of loss or damage to goods in transit. All delivery dates are estimates and the time of delivery shall not be of the essence. Isochem shall be entitled to deliver the Products in installments. Buyer shall promptly inspect Product upon delivery and for any shipment received in damaged condition Buyer shall notify Isochem and comply with Isochem's damaged goods procedure. 5. CANCELLATION AND RETURN -- Buyer may not cancel any order or return any Product without Isochem's consent. Cancellation and return charges may be charged by Isochem. Special order Products, Products subject to governmental regulation and/or processing requirements are not eligible for cancellation or return. Buyer must contact Isochem to obtain a return material authorization number. 6. WARRANTY -- Products are warranted to meet the specifications set forth on their label/packaging and/or certificate of analysis ("Specifications") at the time of shipment or for the expressly stated duration. This warranty does not extend to any Product which has been subjected to misuse, neglect, or to use in violation of instructions furnished by Isochem. For Products EXPRESSLY SOLD FOR USE IN FOOD, DRUG OR COSMETIC APPLICATIONS, Isochem guarantees that no such Product is adulterated or misbranded within the meaning of applicable law, as such laws are constituted and effective at the time of shipment. EXCEPT FOR THE WARRANTIES ABOVE, Isochem MAKES NO OTHER WARRANTY OF ANY KIND WITH REGARD TO ITS PRODUCTS, WHETHER EXPRESS, IMPLIED, BY OPERATION OF LAW, BY COURSE OF DEALING, USAGE OF TRADE OR OTHERWISE, INCLUDING, WITHOUT LIMITATION, ANY IMPLIED WARRANTIES OF MERCHANTABILITY AND FITNESS FOR A PARTICULAR PURPOSE. Unless otherwise specified, Products are sold for laboratory and manufacturing use and are not intended for use as foods, drugs, cosmetics or household chemicals. Certain Products sold under this Agreement may be FOR RESEARCH USE ONLY and will be marked as such on their packaging and/or shipping documents. Buyer acknowledges and agrees that such identified Products are NOT TO BE USED IN MANUFACTURING, FOR HUMAN OR DRUG USE, OR OTHER COMMERCIAL PURPOSES. 7. INSPECTION OF PRODUCTS AND REMEDYFOR NONCONCOFMRING PRODUCTS -- Buyer shall inspect Products on receipt and within seven (7) days thereof notify Isochem of any non-conformances to the Specifications. If Buyer fails to give such notice, Products shall be deemed to meet the Specifications and Products shall be deemed to have been accepted. Isochem may, on Buyer's premises, inspect any Products claimed not to conform. In the alternative, any claimed non-conformance may be confirmed through analysis by a third-party laboratory reasonably acceptable to both parties and within a reasonable time frame. If, as a result of said analysis, non-conformance is confirmed, the cost for said analysis shall be paid by Isochem; otherwise Buyer shall pay for said analysis. For any Product that does not conform to the Specifications, Isochem shall have the following options, at its sole discretion: (i) provide replacement Products; (ii) make whatever repairs/modifications to the Products that Isochem deems necessary to enable the Products to conform to the Specifications; or (iii) credit Buyer for the Product price paid. THE CORRECTION OF NON CONFORMITIES BY REPLACEMENT, REPAIR, MODIFICATION, OR CREDITING BUYER'S ACCOUNT IN THE MANNER SET FORTH ABOVE SHALL CONSTITUTE THE SOLE AND EXCLUSIVE REMEDIES OF BUYER AND SHALL CONSTITUTE FULFILLMENT OF THE OBLIGATIONS OF Isochem WITH RESPECT TO THE WARRANTY GIVEN HEREIN. 8. LIABILITY FOR Isochem -- Buyer assumes all risk and liability for loss, damage or injury to persons or to property of Buyer or others arising out of the presence or use of the Products. Except as expressly provided otherwise herein, Isochem shall not indemnify nor be liable to Buyer, Buyer's customers, successors, or to any person or entity for any claims, damages or losses arising out of the sale or use of Products, where liability is premised upon any theory including, but not limited to, warranty, negligence or strict liability. Isochem SHALL NOT IN ANY EVENT BE LIABLE FOR INCIDENTAL, CONSEQUENTIAL, INDIRECT, EXEMPLARY OR SPECIAL DAMAGES OF ANY KIND RESULTING FROM ANY USE OR FAILURE OF THE PRODUCTS INCLUDING, WITHOUT LIMITATION, LIABILITY FOR LOSS OF USE, LOSS OF WORK IN PROGRESS, LOSS OF REVENUE OR PROFITS, OR ANY LIABILITY OF BUYER TO A THIRD PARTY. THE TOTAL LIABILITY OF Isochem UNDER THIS AGREEMENT SHALL NOT EXCEED THE PURCHASE PRICE OF THE PRODUCTS INVOLVED. All claims must be brought within one (1) year of delivery, regardless of their nature. 9. BUYER'S RESPONSIBILITY -- The Products are sold on the condition that they be handled, used and disposed of in compliance with applicable laws and in conformance with recognized industry and professional standards, including those related to the protection of human health and the environment. BUYER ACKNOWLEDGES THAT THERE ARE HAZARDS ASSOCIATED WITH THE USE OF THE PRODUCTS, THAT IT UNDERSTANDS SUCH HAZARDS, AND THAT IT IS THE RESPONSIBILITY OF BUYER TO WARN AND PROTECT ALL THOSE EXPOSED TO SUCH HAZARDS. Buyer shall ensure that: (i) the Specifications are safe for the intended use; (ii) the Products are handled in a safe manner; and (iii) any waste originating from the Products is disposed of according to relevant regulations. In the event of resale of Product by Buyer, and where Isochem has affixed warnings on the exterior of potentially dangerous Products, Buyer is prohibited from changing, deleting, or obscuring such warnings in any way unless Buyer shall suitably reproduce the same warnings on the packaging. The foregoing shall not preclude Buyer from adding any additional warnings or disclaimers as may be appropriate and/or required by law as a condition to Buyer's resale or use of the Products. Buyer warrants to Isochem that the manufacture, sale or use of Products supplied to Buyer's specifications will not infringe any intellectual property right of any third party. Buyer shall indemnify and hold Isochem harmless from and against any and all claims, damages, losses, costs or expenses (including attorney's fees), arising in connection with Buyer's sale or use of the Products, including Buyer's breach of the foregoing covenants and representations, or arising from the negligence, recklessness or misconduct of Buyer. 10. TECHNICAL ASSISTANCE -- Isochem makes no warranties of any kind for any technical advice provided by Isochem, or for any results occurring as a result of the application of such advice. 11. FORCE MAJEURE -- Neither party hereto shall be in default in the performance of its obligations hereunder (other than its obligation to make any payment of money hereunder), or be liable in damages or otherwise for any failure or delay in performance which is due to causes beyond its reasonable control. Either party affected by such an event shall promptly give notice to the other, stating the nature of the event, its anticipated duration and action being taken to avoid or minimize its effect. Neither party hereto shall be required to grant any demand or request to bring to an end any strike or other concerted act of workmen. If, at Buyer's request or for any reason for which Buyer is responsible, the production or shipment of Products is delayed, Isochem may immediately invoice Buyer for the Products produced, and costs and expenses incurred up to the time of the delay. 12. EXPORT -- This Agreement shall be construed and implemented in compliance with appropriate local and international regulations, and laws which restrict exports of certain Products and technology into certain countries, and all other applicable export controls. Buyer agrees and shall cause each of its customers to agree, that it will commit no acts which directly or indirectly violate any applicable export control law, regulation, treaty or other international agreement to which Germany or the European Union adheres or complies, or any applicable export, import or other laws of any other jurisdiction concerned and agrees to indemnify and to hold Isochem harmless from any and all liabilities or costs incurred by Isochem or its affiliates for any reason arising from or connected with any such violation, incurred intentionally or unintentionally. Additionally, our products may not be sold to, or shipped to, or used in, countries on the OFAC list of embargoed or sanctioned countries, or those that are on the list or ITAR prohibited countries. This is includes at the moment: Crimea Region of Ukraine, Cuba, Iran, North Korea, Sudan, Syria, Burundi, Central African Republic, Democratic Republic of the Congo, Libya, Lebanon, South Sudan, Somalia, Belarus, Iraq, Yemen, Myanmar (formerly Burma), Russia/Ukraine, Zimbabwe, Balkans, Venezuela. 13. MISCELLANEOUS -- In the event that any of the provisions in this Agreement shall be held to be invalid, illegal or unenforceable, such invalidity, illegality or unenforceability shall not affect any other provisions hereof. Waiver by Isochem of any breach of this Agreement shall not be construed as a waiver of any other breach, and the failure of Isochem to exercise any right arising from any default of Buyer shall not be deemed to be a waiver of such right, which may be exercised at any subsequent time. This Agreement is not assignable or transferable by Buyer without the written consent of Isochem. This Agreement shall be construed and interpreted solely in accordance with the local laws applicable to Isochem's place of business. 14. PUBLICITY -- Any marketing, promotion or other publicity material, whether written or in electronic form, that refers to Isochem, its affiliates, their products, or to this Agreement must be approved by Isochem prior to its use or release. 15. PROPRIETARY RIGHTS -- Isochem, or its affiliates, are the owners of certain proprietary brand names, trademarks, trade names, logos and other intellectual property. Except as otherwise expressly permitted by Isochem, no use of Isochem's or its affiliates' brand names, trademarks, trade names, logos or other intellectual property is permitted, nor the adoption, use or registration of any words, phrases or symbols so nearly resembling any of Isochem's or its affiliates' brand names, trademarks, trade names, logos or other intellectual property as to be likely to lead to confusion or uncertainty, or to impair or infringe the same in any manner, or to imply any endorsement by Isochem of another entity's products or services.